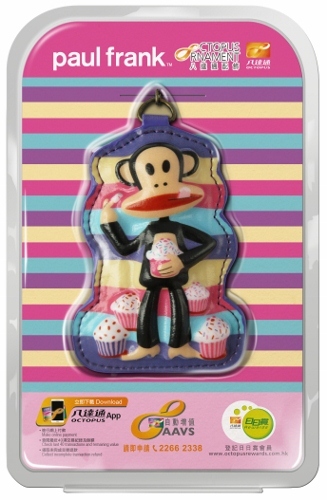 The “Paul Frank Octopus Ornament” will surely spice up users’ outfits as Julius the groovy character is transformed into two adorable Octopus ornaments – the energetic “Hip Hop version” and the carefree “Cupcake version”. Enwrapped by colourful leather like material and shaped in 3D fluid-feel pop-up style, this Octopus ornament is both trendy and sleek while integrating smart living technology with creativity. - This Octopus functions as a normal Adult Octopus and is non-returnable. Please add value before using. - The unit price above excludes postage fee (click here for details). Exact charges will be displayed on website before completing the ordering and payment process.